Within the last decade, nearly 5000 exoplanet candidates have been identified, and about 2000 of these have been confirmed! What is an exoplanet? Exoplanets are planets that exist outside of our solar system that orbit around other stars. What we see in this image is an artist depiction of Exoplanet HD 80606b (190 light years from Earth). 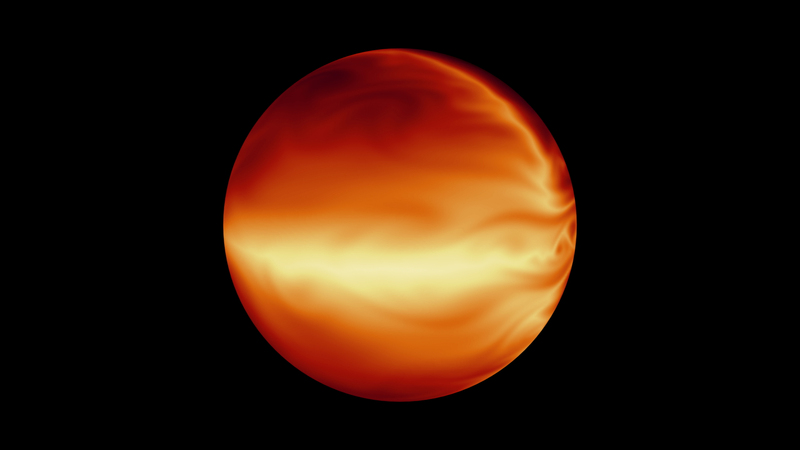 It is classified in a category known as "hot Jupiters". Similar to Jupiter, exoplanets like HD80606b are gas giants. However, they are much hotter and have highly elliptical orbits that take the planets daringly close to their stars. HD 80606b's boiling atmosphere is simulated in this image from data the Spitzer Space Telescope cooked up. The planet usually spends time far away from its star, however, every 111 days, it swings extremely close to its star causing a huge burst of heat. It takes about 90 hours to complete one full rotation on its axis which is very unusually slow for a gas giant. Its coolest temperatures reach around 400 degrees Fahrenheit, and its hottest temperatures get up to an estimated 2000 degrees!